yesterday preparing my main meals for the week. lean with some kidney beans and lots of spices for taste. a vegetable stirfry with 3 pounds of brocolli and 1 lb of aparagas with 1 tbsp of oil and garlic. 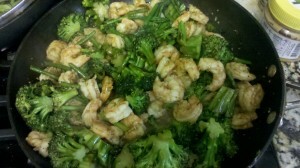 Now I put it all together… added half veg stirfry to shrimp added some lite terriki sauce. 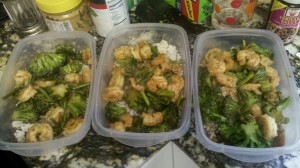 got 3 meal size containers added 1/2 c cooked rice and put 1/3 shrimp veg stirfry into each container as shown above. 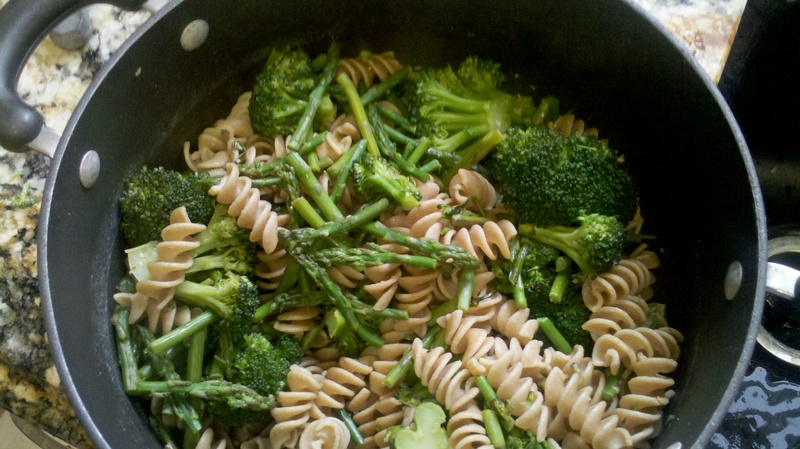 add the other half of veg stirfry to high grain pasta and then spilt that into 5 servings. These 5 serving will be served with the left over “skatewing” fish or chili.